*The Philadelphia Court of Common Pleas and Municipal Court Reception will be preceded by a CLE on ethics which will begin at 4:15pm. You will receive ONE FREE CLE CREDIT. There is no charge for the CLE for Lawyers’ Club Members who have paid their dues. CLE Description Litigators routinely face ethical dilemmas – whether in dealings with opposing or co-counsel; throughout the course of discovery; with clients who are difficult or who lie during a deposition; or in determining what to say or how hard to push during a settlement negotiation. This program provides a whirlwind tour of many areas of potential liability for litigators. The applicable rules, ethics opinions, and relevant case law will be examined to provide guidance and practice pointers on real-world scenarios. Please RSVP at philadelphialawyersclub@gmail.com with your full name. *Please remember you must register for the CLE. *The Philadelphia Court of Common Pleas and Municipal Court Reception will be preceded by a CLE on ethics which will begin at 4:15pm. You will recieve ONE FREE CLE CREDIT. The topic of the CLE will be “The Impaired Lawyer: Alcohol and Drug Addiction in the Legal Community.” The guest speakers include Brian S. Quinn, Esq. of Lawyers Concerned for Lawyers; Abraham Reich, Esq. Chair Emeritus of Fox Rothschild LLP; and Link Christin, Esq., Executive Director of Caron Treatment Centers. There is no charge for the CLE for Lawyers’ Club Members who have paid their dues. *The Common Pleas Court and Municipal Court Reception will be preceded by a CLE "Preserving the Record beginning at 4:00pm at The Union League. "Faculty for the CLE will consist of Kevin Mincey, Michael Turner, Teresa Ficken Sachs, Charles (Chip) Becker and the Honorable Alice Beck Dubow from the Pennsylvania Superior Court. It will be for one credit and is free to members of the Lawyers' Club of Philadelphia." 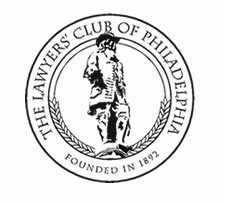 The Lawyer's Club of Philadelphia Reception, for the Judges of the Court of Common Pleas and Municipal Court ORIGINALLY scheduled for Monday, October 29th at The Union League of Philadelphia has been RE-SCHEDULED. Please save the NEW date, Monday, November 19, 2012 at The Union League of Philadelphia on your calendars. Scheduled Board Meeting - Cancelled! The Pyramid Club 1735 Market Street, 52nd Floor at 8:30 a.m.
October 17, 2006 at 4:00 p.m.